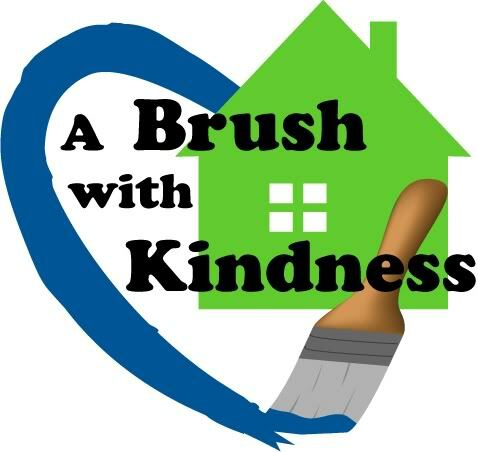 On Saturday, June 18th, our staff and volunteers will provide A Brush with Kindness home preservation services, including painting doors and trim, landscaping, yard maintenance and trash removal to a family in the McCullough neighborhood of College Station, located off Holleman across from W.A. Tarrow Park. We will extend this service to the neighborhood by removing trash from the five-block community between Arizona and Georgia Streets. 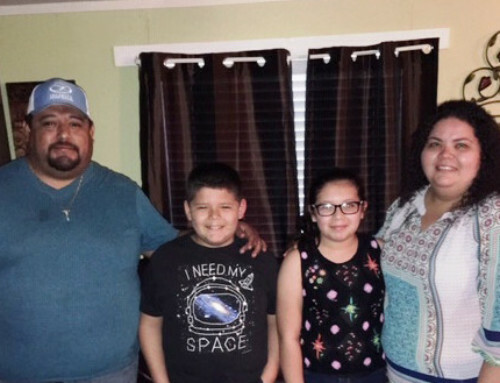 Applications were mailed to homeowners in the neighborhood earlier this year and, based on Habitat’s selection process, the Taylor family was selected to receive this service. 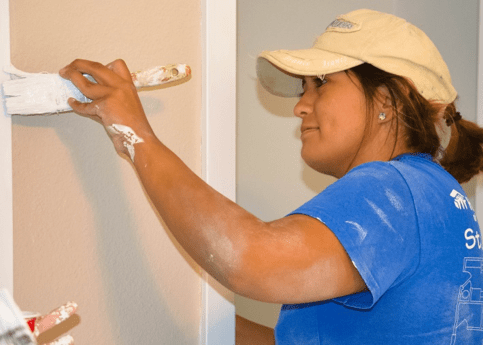 The A Brush with Kindness program offers homeowners an opportunity to partner with the Habitat program to spruce up their homes and improve curb appeal through these minor, exterior home repairs that may include painting, landscaping and power washing. When basic expenses like food and utilities exceed a homeowner’s income month after month, home maintenance quickly becomes unaffordable. Years of deferred maintenance can quickly deteriorate a home and create unsafe living conditions. This home-preservation event to help bring neighbors together to help each other, strengthening the community. From 1991 to 2014, we have built 28 of our 266 homes in the College Station community; eight of these homes are located in the McCollough neighborhood. The high cost of land in College Station has hindered us from building new homes in the College Station community recently. 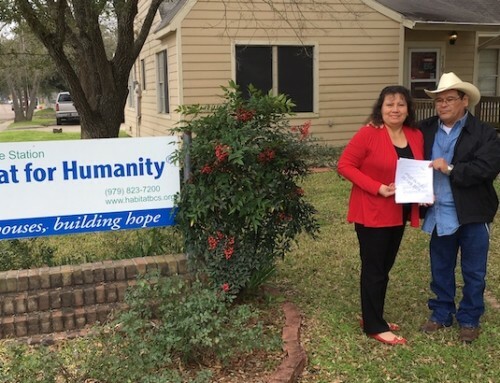 However, efforts such as A Brush with Kindness show our dedication, desire and commitment to serving low-income residents in both the College Station and Bryan communities by offering a different type of housing product besides new construction. This particular event was generously sponsored by the Nina Astin Winkler Charitable Trust and the hope is that as resources and interest grows in these efforts, we will be able to help the community by expanding beyond painting and landscaping into more critical home repairs in an effort to revitalize the local communities and neighborhoods. 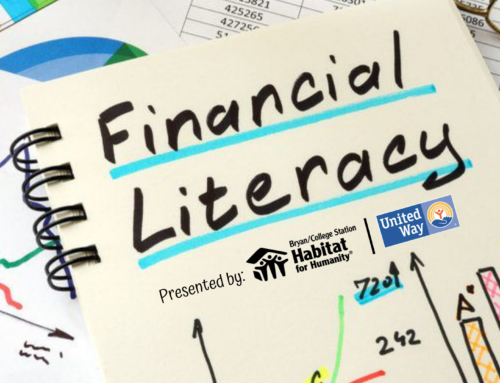 If you would like more information on this event, or how you can benefit from the Bryan/College Station Habitat for Humanity’s home-preservation efforts, please contact Julie Gurnon in our development office at 979.823.7200 ext 110.